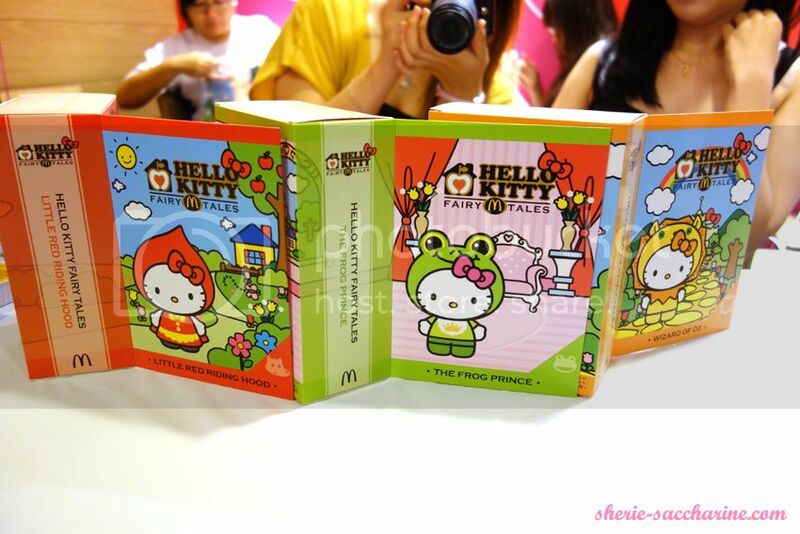 Mcdonald's Hello Kitty Fairy Tales Collection! I'm finally back after a longgggg hiatus! I was so excited about this preview event because this is the first event after my hiatus, and also my first McDonald's event! 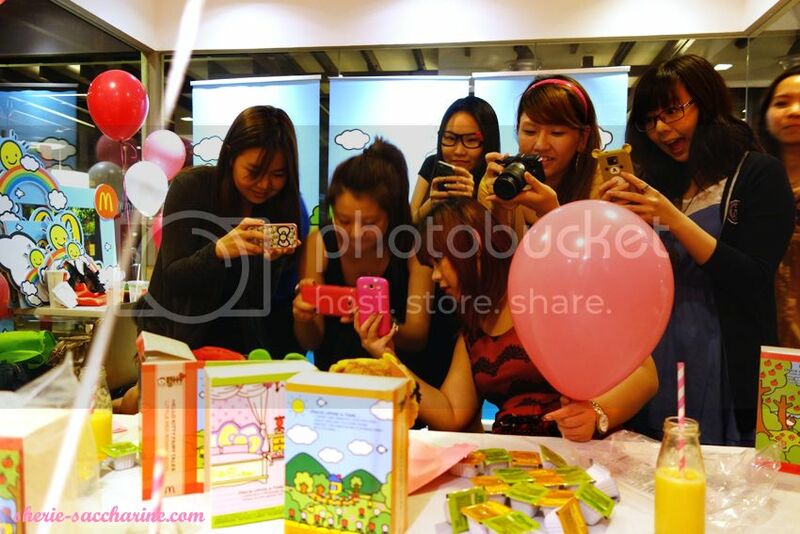 I feel so princessy when I arrived, cos I'm presented with what looks like a kid's birthday party! 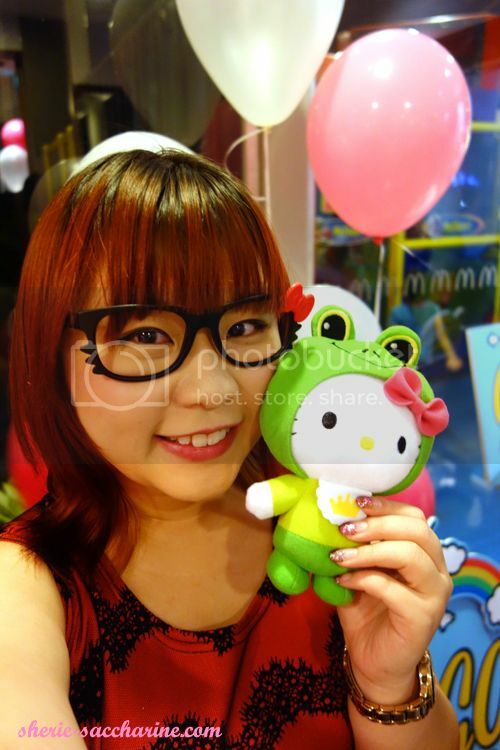 I got my Frog Princess Hello Kitty, smoothie with pink-striped straw, the room is so colourful and decorated with balloons! 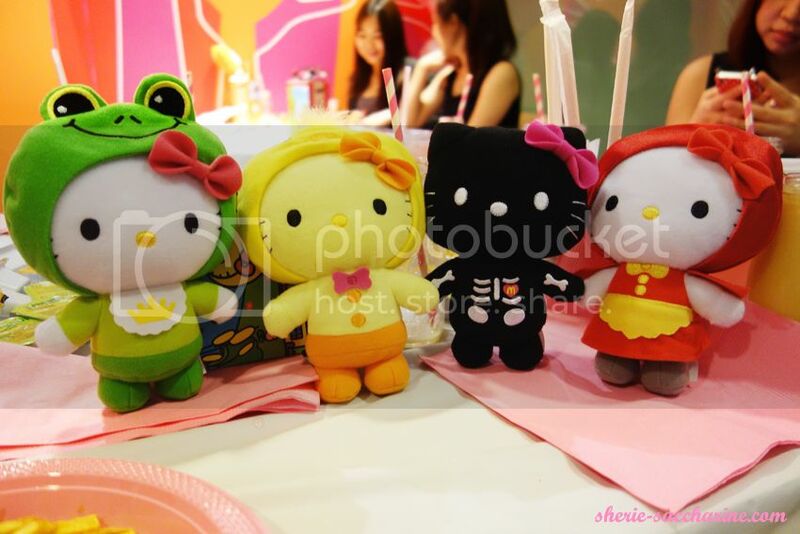 3 of the designs were presented to the bloggers and there are all so adorable! But fate brought Frog Princess and me together.. The boxes were designed to look like a hard cover fairy tales story book! WHAT ARE THE BLOGGERS SNAPPING AT??? 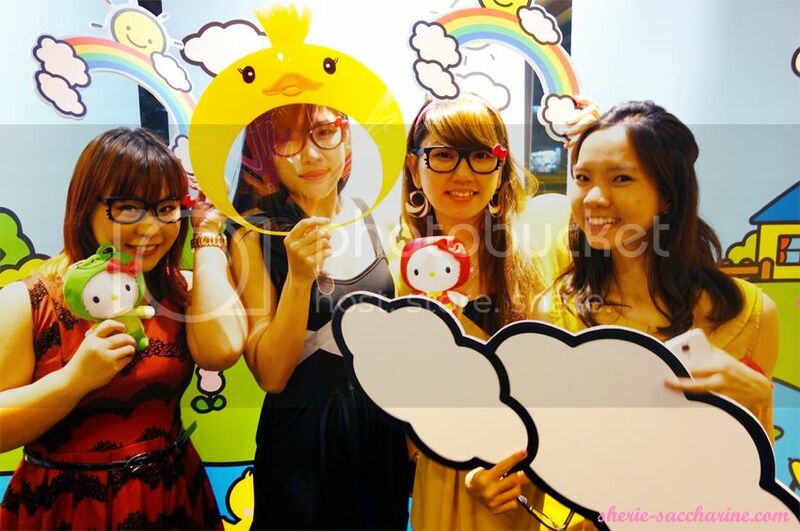 The 3 kitties that I arranged! 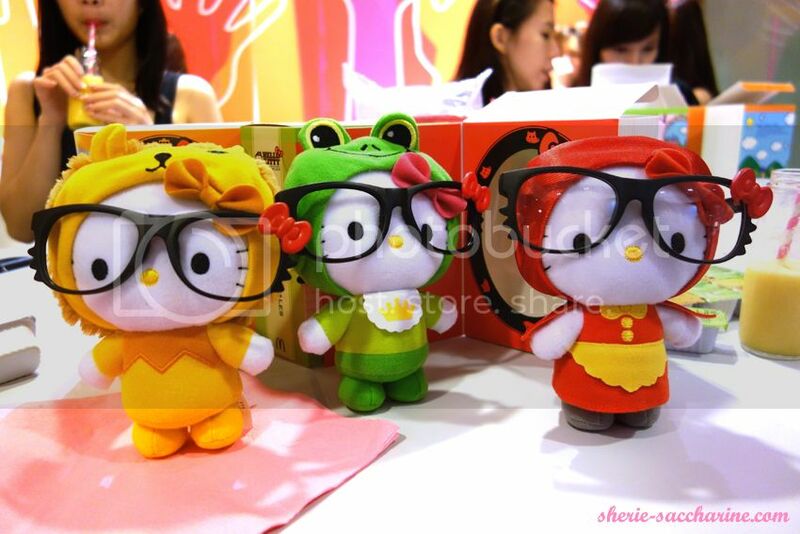 These are- Lion from Wizard of Oz, Frog Princess and Little Red Riding Hood! 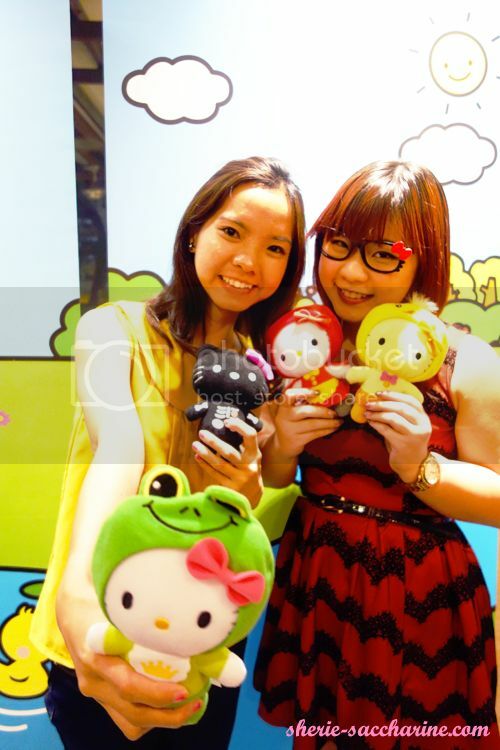 Fortunate ladies who got their hands on the kitties before everyone else! 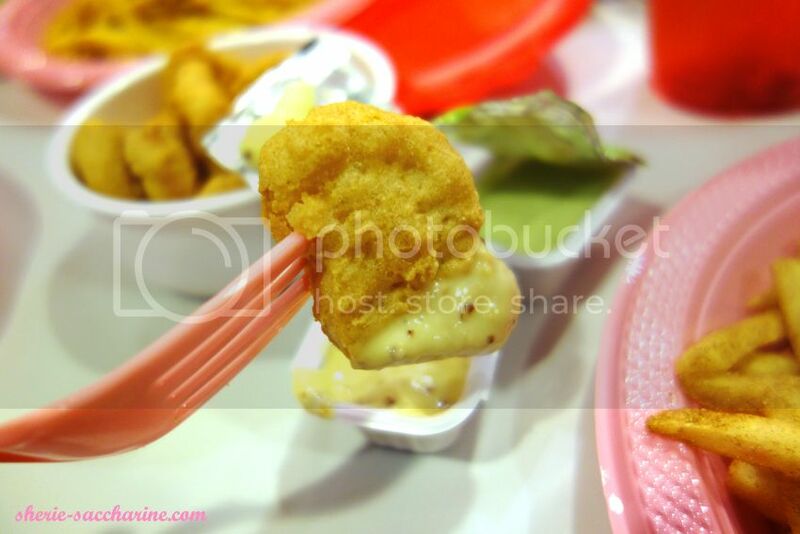 Here comes our "Happy Meal!" 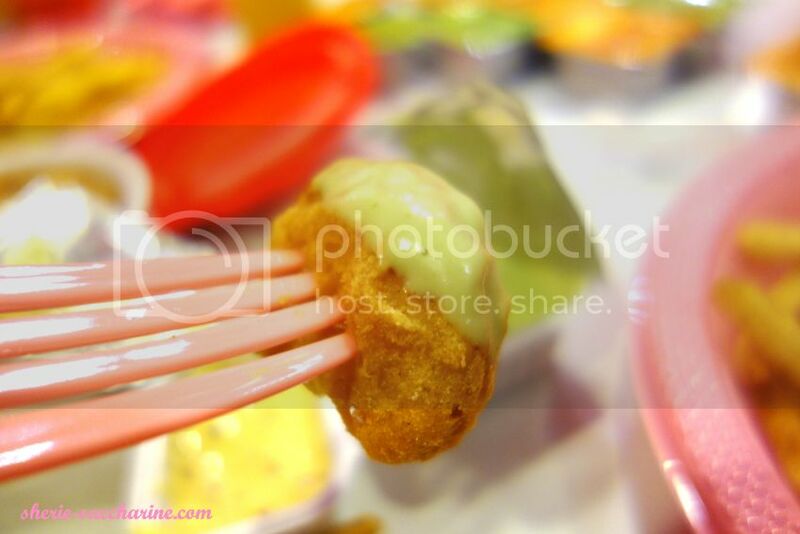 The honey mustard and wasabi dip are both soooo nice! Couldn't decide which one I like better. 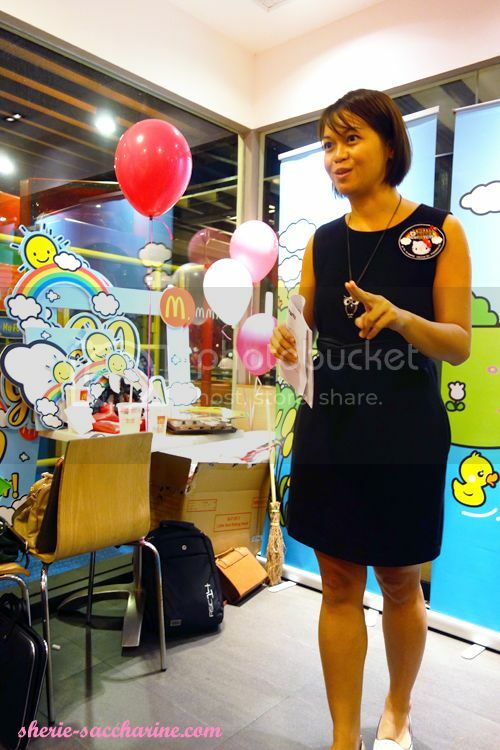 This pretty lady (Melody Chen look-alike) is McDonald's representative who shared many exciting and upcoming products of McDonald's! And thanks to her, the bloggers got themselves a 2nd, if not 3rd kitty! 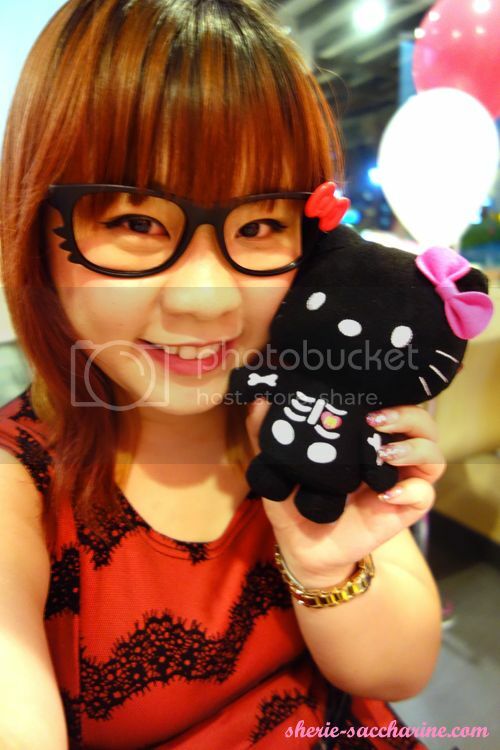 I got myself the Singing Bone kitty during a social media sharing exercise and an Ugly Duckling kitty for Q&A! So lucky! 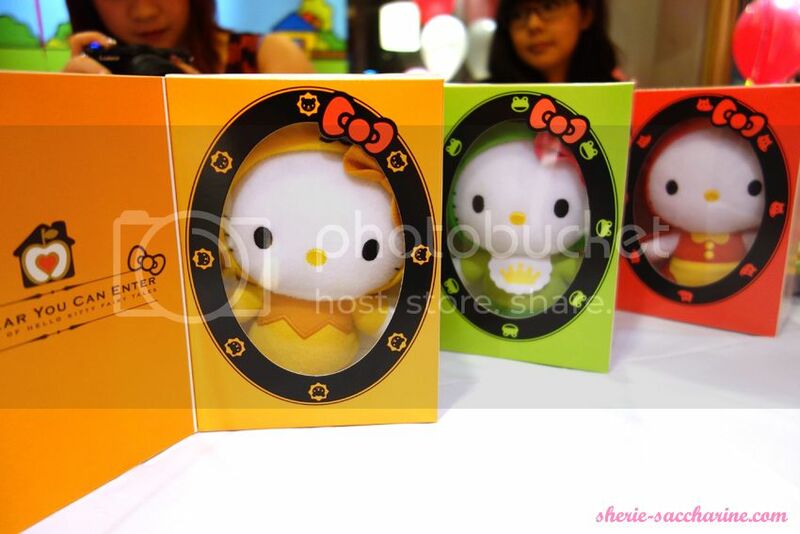 Question: Where is Hello Kitty from? 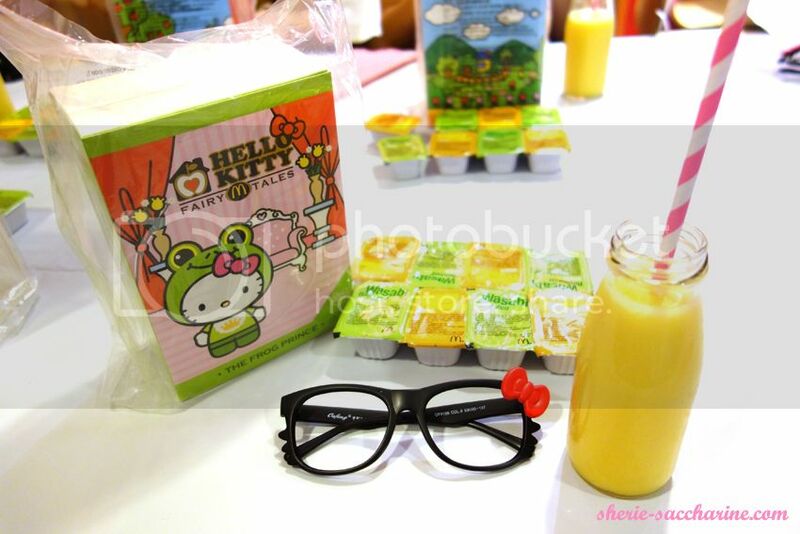 My Ans: (to be safe) Hello Kitty was drawn by a Japanese and Hello Kitty was born in England! Yay! An Ugly Duckling is mine now! 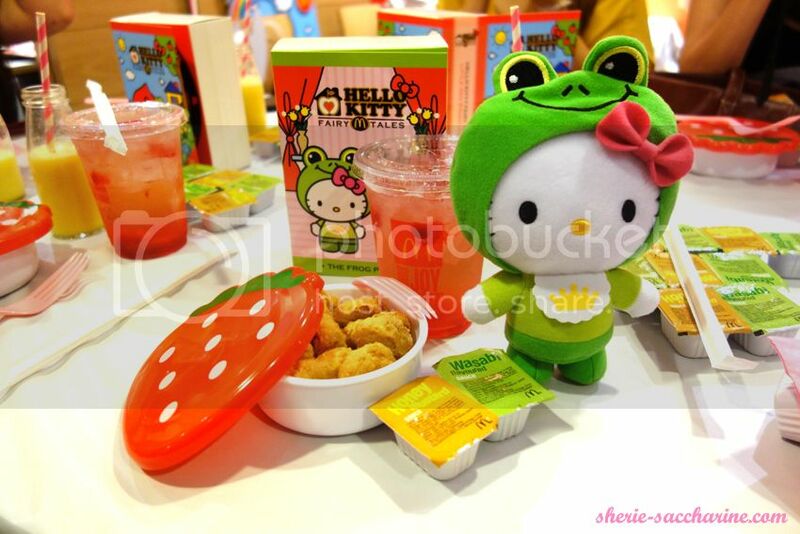 Well, I even know that Hello Kitty was "born" on 1 November 1974 and weighs 3 apples! Now I owe 3 kitties (1st 3 on on the left) and 3 more to go! 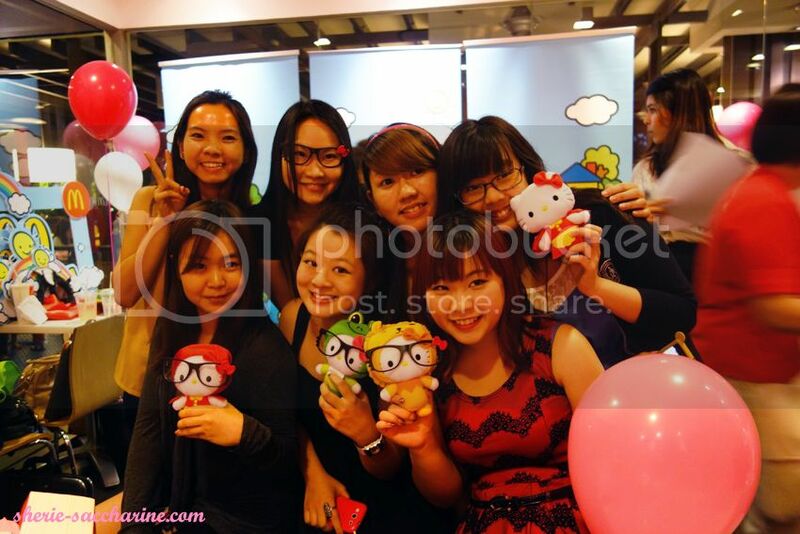 Ladies there were transformed to little girls instantly with the full atmosphere of Hello Kitty cuteness! 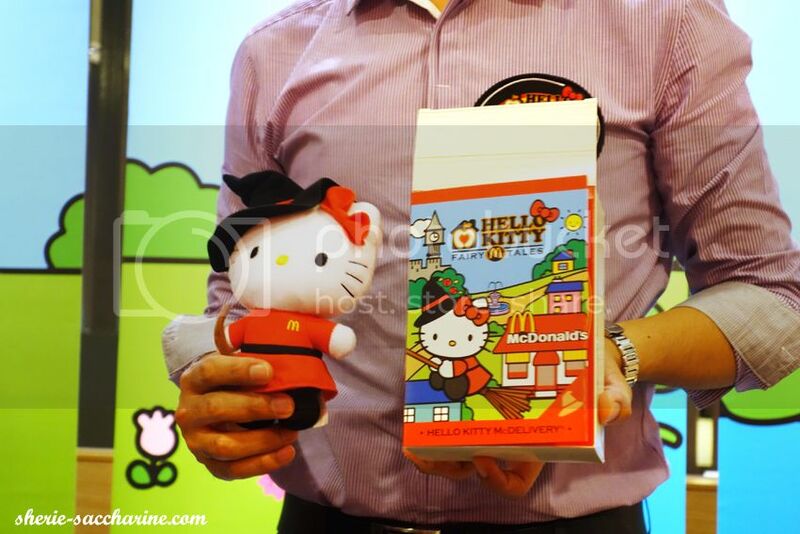 One special kitty in the series was the McDelivery Kitty! 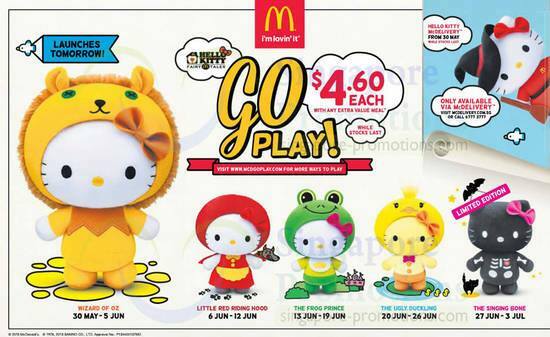 Only available when you order McDelivery, do keep that in mind! 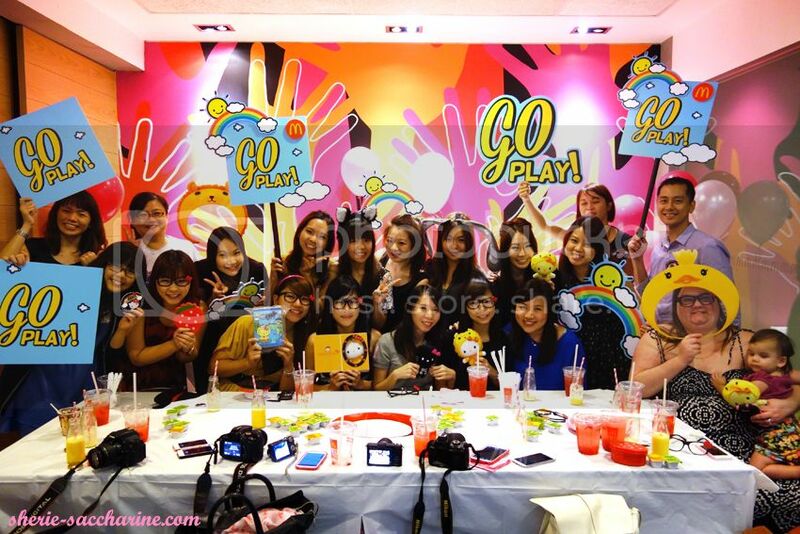 Made some new friends at the event and really love how everyone is so kitty-crazed and motivated to collect the whole series! 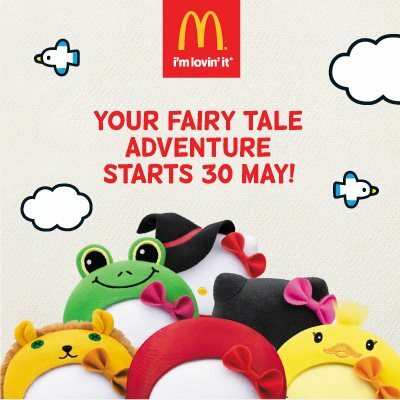 The kitties are available in McDonald's from 30 May onwards! Grab yours at $4.60 when you order an Extra Value Meal! !